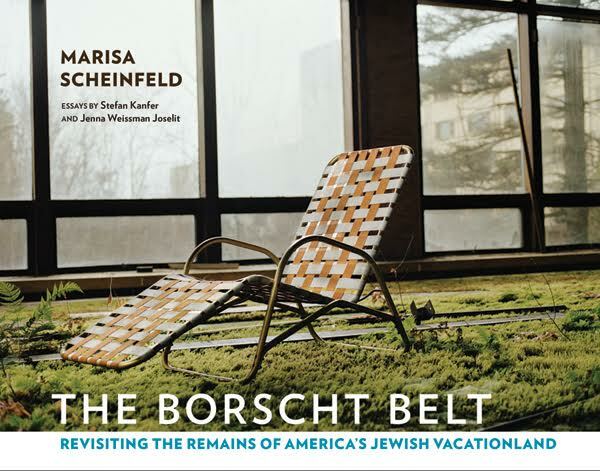 A new photography book “The Borscht Belt: Revisiting the Remains of America’s Jewish Vacationland” (Cornell University Press) and a book talk with author Marisa Scheinfeld will place place this Saturday, April 29, 12 noon at the Orangeburg Library. This photography and text based book presents a contemporary view of the many abandoned hotels and bungalow colonies of the Catskills Borscht Belt, once an internationally known vacation destination offering its visitors leisure and entertainment and comprised of over 500 hotels and 50,000 bungalow colonies. The Borscht Belt was a place that brought together many people, and forged families, friendships, collective and personal memories and histories with many extending to the present day. At its root, the book’s topic is about the Borscht Belt and its place in history, however the photographic series examines history though a contemporary lens. Comprised of color photographs (made on film) the images capture the physical spaces of Borscht Belt architecture and locales such hotel and bungalow colony exteriors and interiors, including both public and private spaces – lobbies, pools, dining rooms, guest rooms, showrooms, stages, etc. In many ways, the work is an elegy to this once prominent and highly traversed place but is also celebration, albeit bittersweet, of its former glory — while evoking discussion about loss, memory, and the process of time and change on the built environment. Besides 129 color photographs, the book contains essays by Scheinfeld, author Stephan Kanfer and Jewish American historian Jenna Weissman Joselit. In addition, it contains writings from Mel Brooks, Larry King, Maya Benton (Curator of the Roman Vishniac Collection/Exhibition) artist Laurie Simmons, photographer Mark Klett, and author Alan Weisman. The book has garnered positive press in publications such as The New York Times, Wall Street Journal, The Jerusalem Post, Newsweek, The Village Voice, Tablet Magazine, Jewish Daily Forward, The American Historical Association and photography publications like Photograph Magazine, Pop Photo and American Photography. The Orangeburg Library is located at 20 S. Greenbush Rd., Orangeburg.